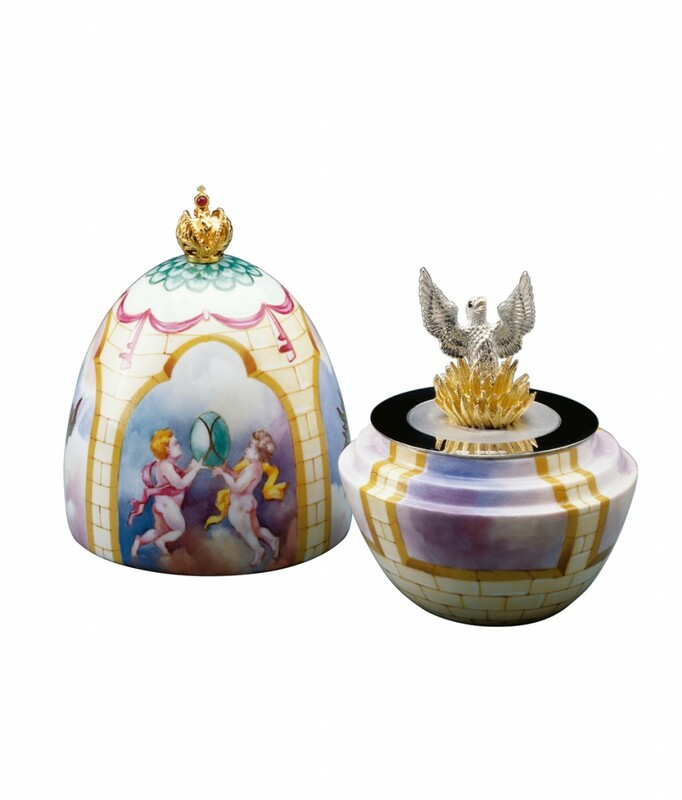 The Phoenix Egg is inspired by Greek Mythology, which tells of a bird of beauty reborn from the flames of destruction, thus becoming a symbol of hope, immortality and spiritual rebirth. The story, hand painted on fine English bone china, is depicted through four panels consisting of anxiety, tranquillity, hope and fulfilment. 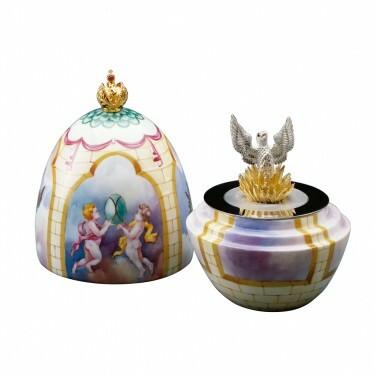 The Egg opens to reveal the sterling silver phoenix, set with sapphire eyes, rising defiantly from the vermeil flames. Materials: Porcelain, sterling silver and sapphire.